UQCRC2 antibody recognizes UQCRC2, also known as complex III subunit 2 core protein II or ubiquinol-cytochrome-c reductase complex core protein 2. Rabbit anti Human UQCRC2 antibody recognizes UQCRC2, also known as complex III subunit 2 core protein II, cytochrome b-c1 complex subunit 2-mitochondrial and ubiquinol-cytochrome-c reductase complex core protein 2. 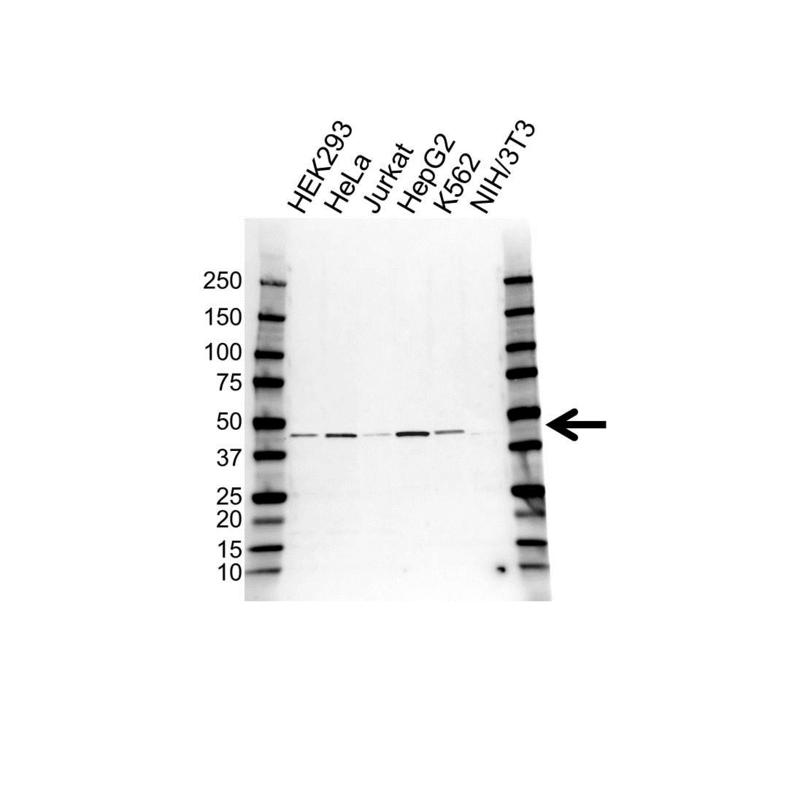 Rabbit anti Human UQCRC2 antibody detects a band of 48 kDa. The antibody has been extensively validated for western blotting using whole cell lysates.